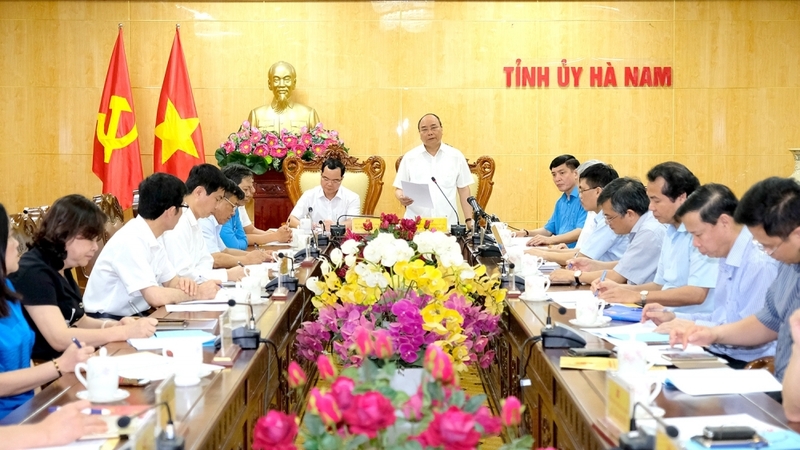 With the current pace of development, Ha Nam provinces must self-control its budget by 2020 and not depend on support from the central budget, said Prime Minister Nguyen Xuan Phuc at a recent meeting with the Ha Nam leaders. According to a report by the province’s leaders, Ha Nam posted a total Gross Regional Domestic Product (GRDP) of over VND32.3 trillion (US$1.42 billion) in 2017, an annual increase of 10.84 percent. The province has eight industrial zones with 253 valid projects and 65 underway projects. The province also posted a high export growth rate of over 20 percent year and recorded US$412 million worth of export revenue in the first quarter of 2018, an increase of 42.1 percent over the same period last year. 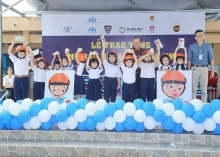 PM Phuc praised Ha Nam for its achievements, particularly the due attention to developing its industrial areas and to boosting land accumulation for large-scale production. He emphasised that with the current pace of economic and social development, Ha Nam should self-control its budget by 2020 at the latest and not receive support from the central budget. The government leader also told Ha Nam to pay attention to improving the lives and vocational training of workers, as the province has a large number of more than 50,000 laborers at industrial zones, while protecting the environment, particularly the water source of the Nhue River. He also asked Ha Nam not to develop more cement plants in order to protect the environment. On the same day, PM Phuc held a dialogue with approximately 1,000 workers at industrial zones from 11 provinces in the Red River Delta region. He noted that he wished to listen to opinions from the workers in an open and frank manner towards the common goal of improving the lives of and developing better social welfare for workers.